Auction House Addict: Wildstar - Gold Making & Leveling in a New MMO! Wildstar - Gold Making & Leveling in a New MMO! Well, it's been quite some time since I posted here but I've been suffering a bad case of the blerghs as well as having yet another operation but in between times, I've been playing the newest MMO on the block, Wildstar. 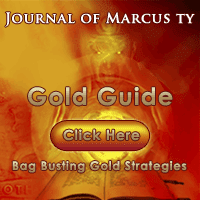 I'm learning the markets and I'll be posting some gold making stuff here soon. I'm thoroughly enjoying Wildstar but I'm so slow at leveling, it's taking me forever. Apart from being distracted by the Auction House and Commodities Exchange (like the true AH Addict I am), I have been struggling a bit to find things on the map. Now don't get me wrong, I've never run out of quests or got really lost but it all takes time to find where you should be questing and then you find you're not quite in the right area but there's a huge wall in your way or you can't find a way around a big hill! 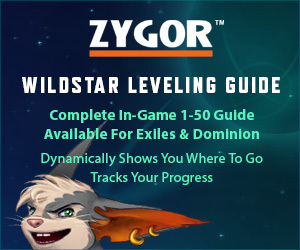 So it's with some relief that I received my email telling my that good old Zygor's are releasing a new Wildstar leveling guide with all the great features that their World of Warcraft Guide has. I've been telling everyone how wonderful their WoW Leveling Guide is for years now and from what I've seen of the promotional stuff, this Wildstar one looks like it's going to be just as useful! There's one for each faction, Exile & Dominion or if you're bi-factional, there's a paired bundle especially for you. It covers all the zones for questing with an optimised leveling path which should make questing much more streamlined. It will also jump ahead on quests as you progress so if you have an XP buff for example, it will skip a quest that you no longer need to do! It places a small but detailed box on your screen which shows you exactly what you need to do next and there's also a waypoint arrow too so if, like me, you regularly get lost, this is perfect for you! I love my WoW guide and I'll be buying this one too - I just have to decide whether I'm bi-factional or not!